A home bar is a must have for any good host but there are a slew of accessories needed in order to satisfy every drink preference that walks through your door. 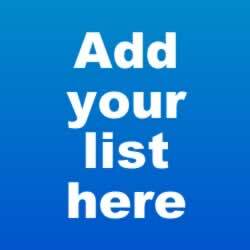 We've compiled a list of the must haves so you can make sure everyone can have their favorite drink in hand. 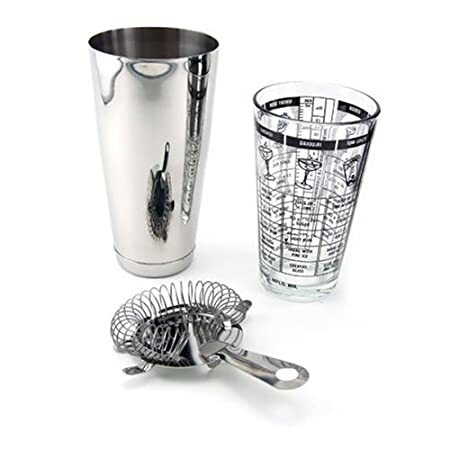 The shaker is the most essential of all the tools a bartender uses. There are two kinds of shakers, Boston Shakers and Cobbler Shakers. The Boston Shaker is superior of the two but it's slightly more difficult to use. This shaker is well priced, has a leak free seal, doesn't rust easily, and already comes with a well fitting strainer which is a nice bonus. Another nice touch is the drink recipes found on the side of the glass itself. I highly recommend you take on the minor challenge of learning to use a Boston Shaker but if you'd like to stick to the more beginner friendly Cobbler Shaker, I'd recommend this one. The Hawthorne strainer is the trusty sidekick to your shaker. 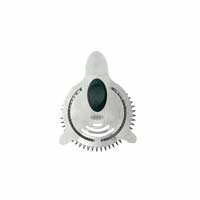 The OXO Steel Strainer is a high quality strainer, it's a few dollars more expensive than your typical strainer but it is well worth the investment. 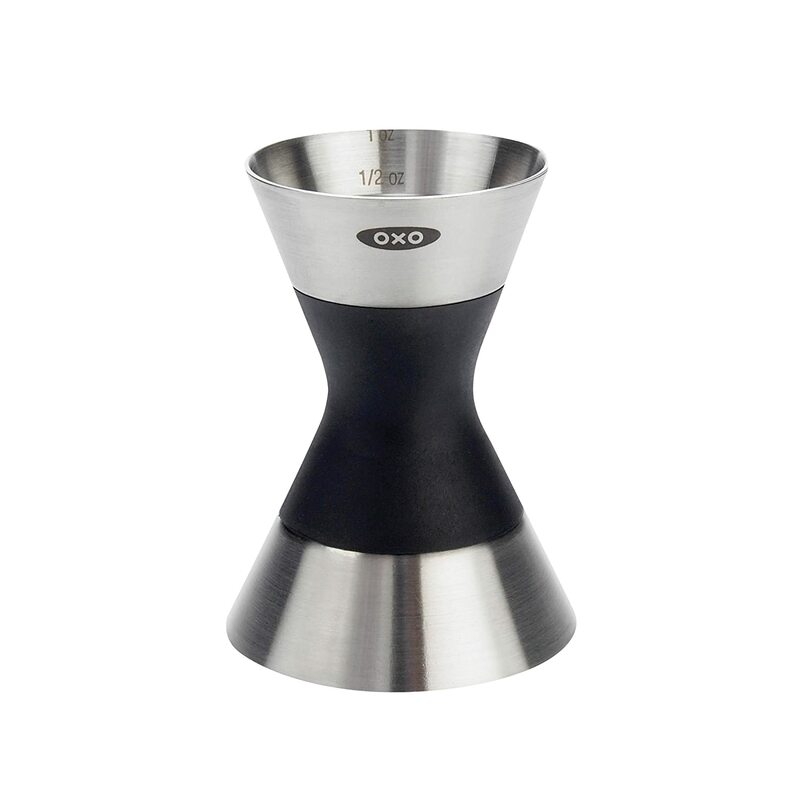 The jigger is the standard measuring instrument for bartenders. This specific jigger measures out a standard 1.5 oz shot and a 1 oz shot with additional increments marked for partial shot measurements. 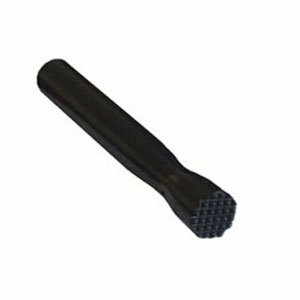 This jigger has the same high quality you'd expect from OXO and has a nice non-slip grip around its center. 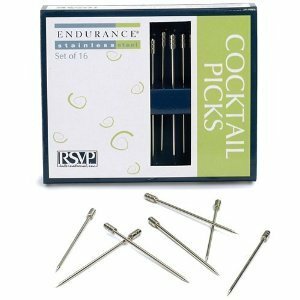 We've been paying attention to cocktail accessories thus far but don't neglect your wine drinking friends. Having a reliable corkscrew is just as important as having a good shaker. 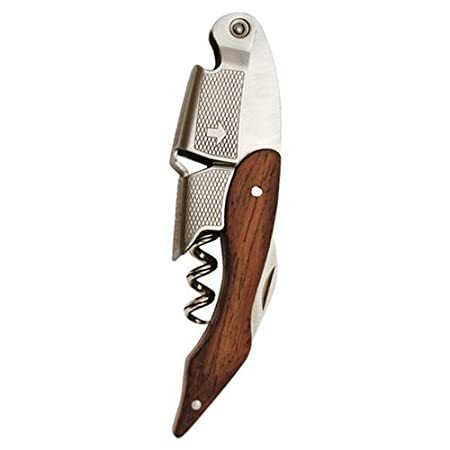 This one by True Fabrications is the best I've come across and it's half the price of other quality corkscrews. Can't have a bar without a bottle opener. 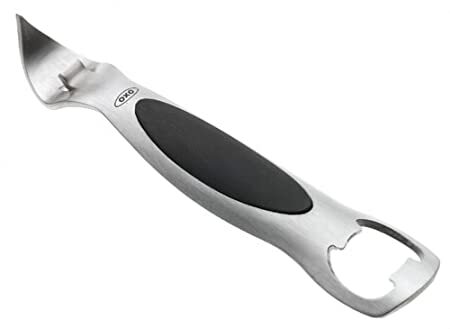 It's hard to go wrong when it comes to bottle openers but some are definitely better than others and OXO pulls through again with another product I really like. Note that this bottle opener also has a can opener, a nice feature to have in case you find yourself needing to open a can of pineapple juice for cocktails. If you want to step up your bar game a little bit, I'd recommend getting a wall mounted bottle opener. It's a real crowd pleaser and there's just something really satisfying about pointing to a stationary opener when a guest asks for one. 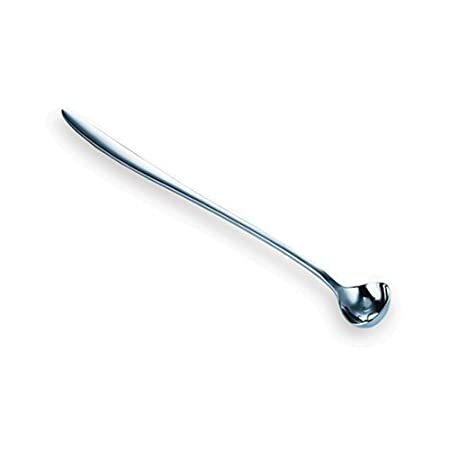 James Bond may have liked his drinks shaken but some of your guests may preferred their Manhattans stirred so don't be caught without a bar spoon. While not critical to have a cutting board specifically for your bar, it's nice to have handy. 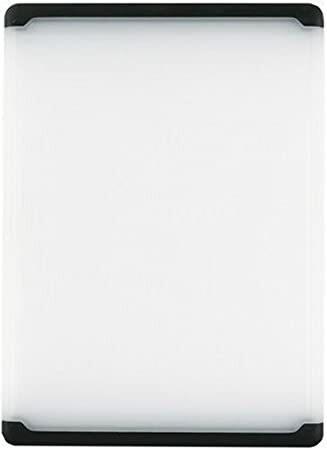 If you do choose to get a cutting board for your bar theres a few things to keep in mind; make sure it's a small, get one with an outer groove in it so you don't get fruit juices all over your counter, and make sure it's plastic. Typically I'd recommend wood cutting boards but plastic is easier to dry and you won't ever be handing raw meat at your bar so no need to worry about antimicrobial properties. Same as the cutting board, dedicated knives aren't necessary but they're nice to have. You can get away with either a paring knife or a small chef knife but as a self identified knife snob I'm going to recommend you get both. The chef knife is the proper tool to use when a cutting board is involved while the paring knife is better fit for finesse tasks like sectioning oranges. Mojitos anyone? For drinks that require mashed ingredients a netted head muddler is the way to go. Smooth wood ones just push the ingredients around at the bottom of the cup while a netted muddler will ensure that the ingredients are properly mashed in short order. Don't waste precious liquor; shot pourers are your friend. 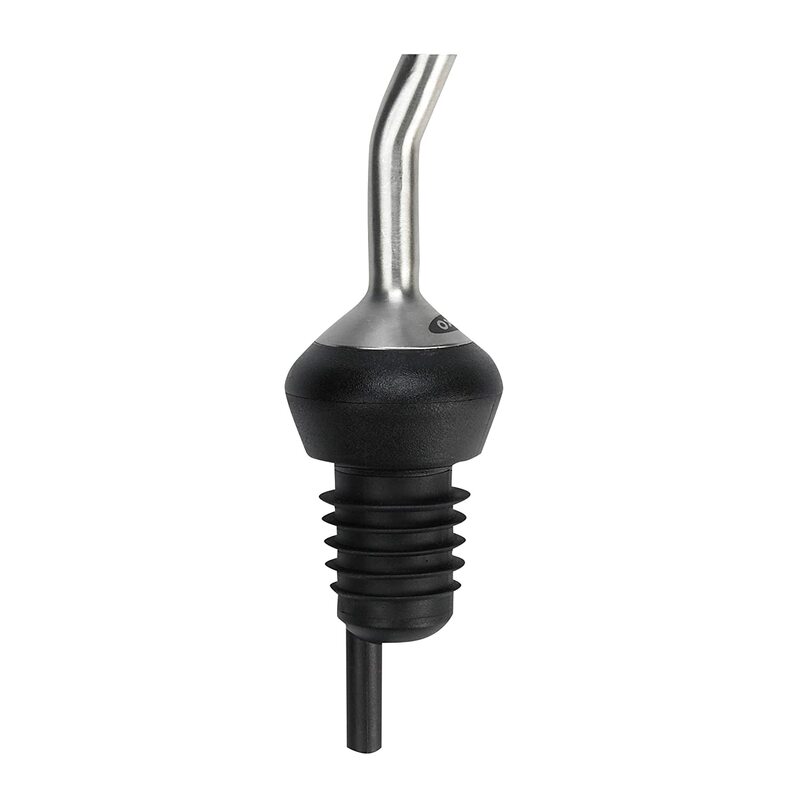 The alternative to speed pourers are measured pourers which regulate the amount of liquor that comes out in a single pour. Measured pourers are nice in theory but do yourself a favor and avoid them, they're nothing but a headache. Embrace the jigger. What would a dirty martini be without the pick full of olives? Skewers are a must have at any bar and it's something that can add a lot of character to your drinks. My personal preference is the more elegant metal picks but feel free to tone it down and use some simple disposable picks. You can also kick it up a notch or two with some little plastic swords, Hawaiian umbrellas, or even little pink flamingos. 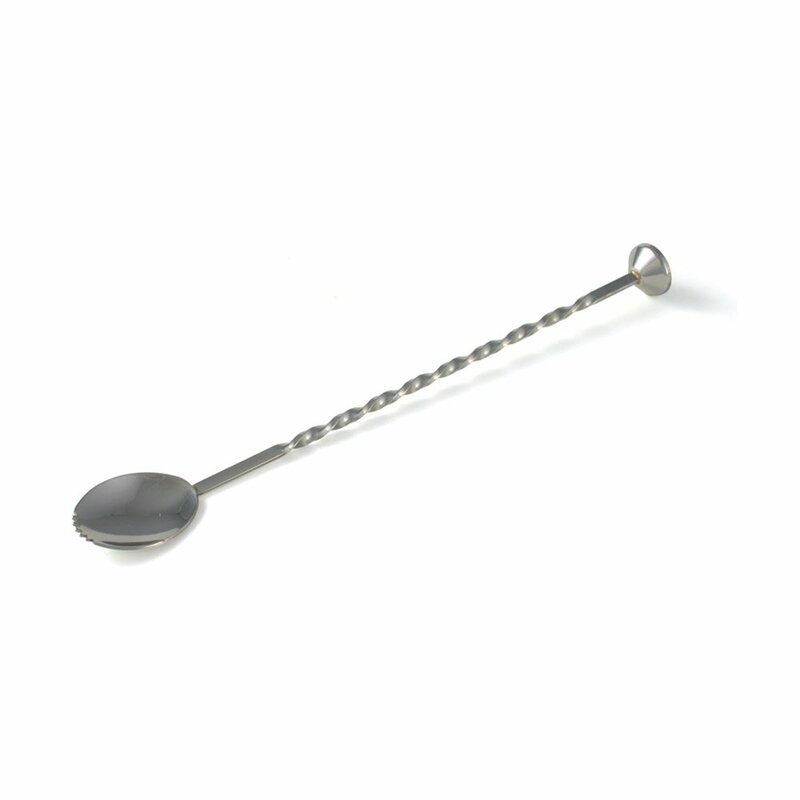 If you like dirty martinis you'll love this spoon. It's great for fishing out olives and it's got a little hole in the bottom so you leave the olive juice behind.